The snows piles high, frigid weather wraps stealthily around us, and your garden must sleep through the bombard- ment of winter. 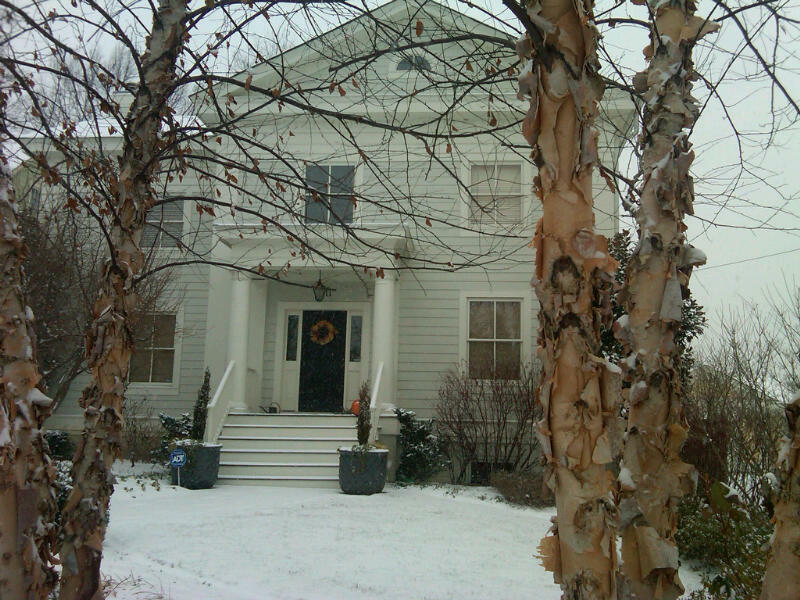 • After wet snow or high wind, check for broken branches and cut them off to prevent further tearing of bark. And remember to sharpen your tools before using! Sharp tools make cutting easier and they’re less apt to tear at the at the bark when cuts are made. • If possible, drain any garden puddles that stand more than a few hours. Do not walk on garden soil when soggy, and avoid walking on water-saturated lawns. • Check mulch for disturbance by squirrels & birds, and repair as needed. • Make notes of possible garden improvements, additions, or even deletions as you walk around the garden. Contemplate what you will need for these improvements and make a schedule for the spring. 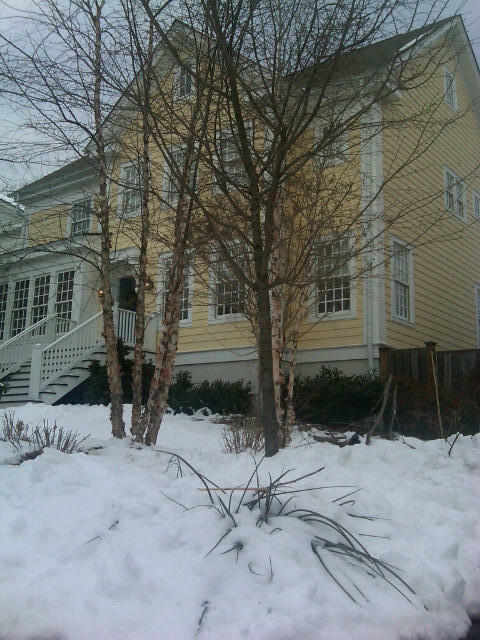 “Just because it’s cold doesn’t mean it’s time to stop maintaining the front of your house. Winter curb appeal can take on its own delightful characteristics; you just need to know what you’re doing and be deliberate about it. Frame your garden. Use clean and attractive borders. According to Mark, “landscape borders play an important role in a home’s curb appeal — whether we’re talking about the whole yard or just a planting bed; a defined area catches the eye more readily than one that is indistinguishable.” Various curbing materials such as concrete, brick, stone and slate add definition to your garden area and help it look tidy even in the winter months.